As I write this post, I'm sipping on my Sweet Dreams Herbal Tea from Savvy Teas...and now I'm ready for bed! But, wait, I need to get this post up! At least I'm nice and relaxed now. I have always loved tea and this past spring my thoughtful mother-in-law hosted a Four Generation Tea Party which was so wonderful. It was an incredibly special time! It was actually at this tea party that I had my first opportunity to try tea that wasn't from a tea bag, but rather from actual tea leaves. My sister-in-law's mother-in-law came up from North Carolina to celebrate with us and brought this beautiful tea that actually unfurled when added to hot water. It was beautiful. However, apart from this tea party, I've only ever used tea bags. And, wow, have I been missing out! Just opening a bag of one of Savvy Teas and Herbs is so wonderful. Oh my. The fragrance is amazing. 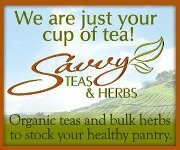 Savvy Teas offers tea with solid flavors (not the bland ones I've been having all these years!). They range in a variety of tastes and aromas whether it be Organic Green Chai, Early Bird Herbal, Organic Darjeeling, Organic Cranberry Orange or Organic Mango Ceylon (I love to just smell this one!). Now that I'm using real tea, I definitely need one of these! It has the infuser right in it and would would save me from having to do this! I have recently been learning more and more about the health benefits of herbs. It's no surprise then that organic tea is so good for you. Of particular interest is tea's amazing antioxidant properties! Wow! What's equally amazing is it's anti-cancer fighting abilities. This recipe is so yummy and makes great use of Savvy Tea's Organic Green Chai Tea! Steep your tea for 6 minutes. While the tea is steeping, heat milk in a small saucepan until it is very hot, but not boiling. Once the milk is hot and the green tea is done steeping, place the green tea, hot milk, honey and vanilla into your blender. Blend on high speed for 1 minute. Pour in mug and enjoy. It is amazing and just as good as anything Starbucks offers, but better for you! You can read more about why tea needs to be a part of your regular diet here. Savvy Teas and Herbs is giving away a $25 gift certificate to a blessed Purposeful Homemaking reader so be sure to enter the giveaway! Enter Here. Disclosure: I was given product to keep from Savvy Teas and Herbs in exchange for a candid review. Purposeful Homemaking will not be held responsible for prizes not fulfilled by the sponsors. I have represented my sponsors wtih the expectation that they will fulfill their prizes and in a timely manner. The sponsors are shipping their items to you directly. They will not be shipped from Purposeful Homemaking. I love tea! These sound amazing! sounds yummy! hope this is where to enter. 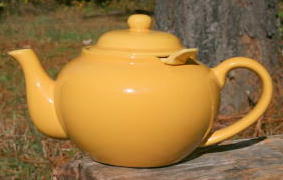 "I checked out the Savvy Tea site, too, and found it well done, informative. Sweet family, as you said." other designers that you have mounted on your device. Test DPC APK Download for Android SmartPhone | Latest of 2017 It reveals the actions of the app feature as per the activities it has to do.